An outbreak of foot and mouth disease has led to the temporary suspension of South Africa's FMD-free status, the Department of Agriculture, Forestry and Fisheries announced on Tuesday. 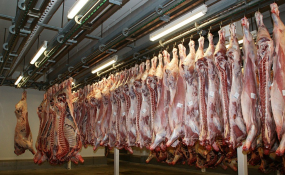 "The matter has been reported to the World Organisation for Animal Health (OIE) on Monday (January 7, 2019)," said spokesperson Khaye Nkwanyana. "As a result of this development, the official OIE recognised FMD-free status of South Africa is temporarily suspended." This means any exports where FMD-free zone attestation is required, cannot be certified at present. This followed laboratory testing of samples taken when reports came in of lameness in cattle just outside the FMD Control Zone in the Free Zone. This zone is in the far north of South Africa. Experts from the department and Limpopo's veterinary services were conducting further investigations to verify results and determine the extent of the outbreak. Control measures would be determined by the findings of this investigation. FMD is described as a "severe, highly contagious viral disease which affects livestock with significant economic impact". It affects cattle, pigs (domestic and wild), sheep, goats, and other cloven hoofed animals. It does not affect human beings. Signs of FMD include depressed animals, sores in the mouths of animals causing a reluctance to eat, and lameness. Any suspected cases must be reported to the local state veterinarian immediately. Nkhwenyana said the affected area was under quarantine and no movement of animals and animal products was being allowed. Farmers further away from the outbreak have been cautioned to observe bio-security measures, which means they must not allow any new animals into their herds, and must minimise the movement of their own herds to other farms.